Sometimes, life's an uphill battle. After 40 years of wandering in the desert, the Israelites, God’s chosen people, were allowed to take possession of the promised land, a land flowing with milk and honey. God defined the boundaries of territory that He would give to his people and promised to bless them if they followed His plan for their lives. Following God’s plan, however, involved going to battle against their and God’s enemies, facing giants and even having to clear large forest lands to make room for their homes. I’m sure it felt like an uphill battle. 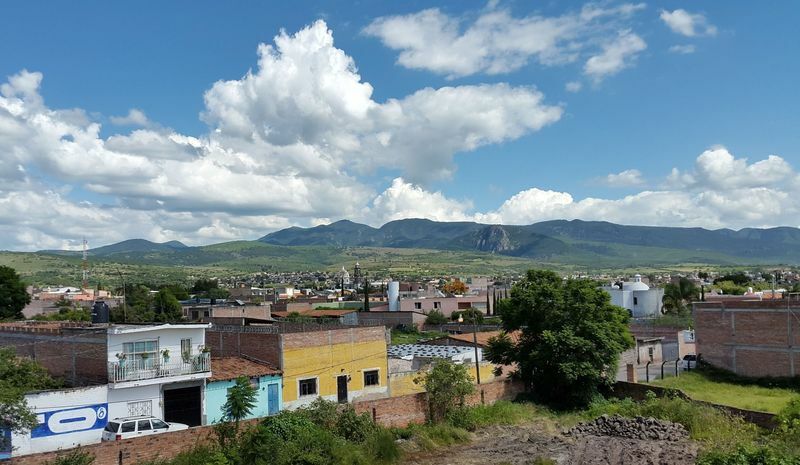 As we face various trials in our efforts to follow God’s calling to raise up new missions, I can’t help thinking that we are also in the midst of a battle, confronting giants and needing to clear some heavily-forested land in order to take possession of what God has promised us, specifically the missions in La Pitahaya, Sinaloa, and Tarimoro, Guanajuato. You may already have been participating in prayer and giving for these two missions, but a lot has happened in the past few weeks, and we wanted to share an update. It's a bit long, but we offer no apologies. You won't regret reading through to the end! 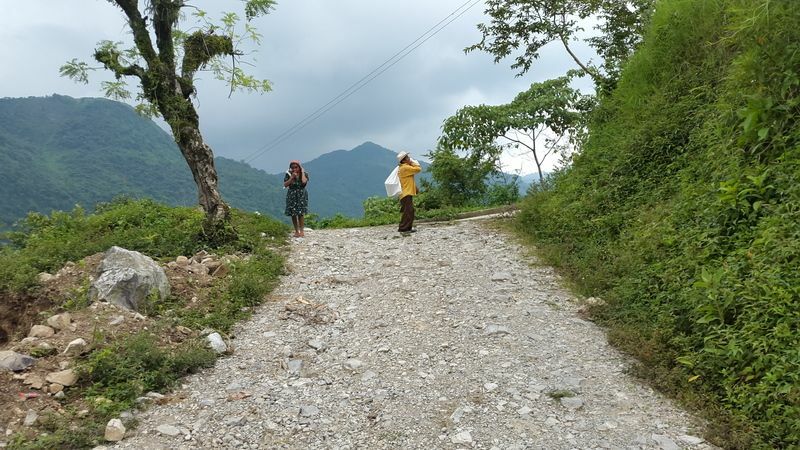 In La Pitahaya last week, in the middle of the weekly Bible study and worship service, a man arrived stating that we did not have permission to gather at the property where the Church meets and that the group was no longer welcome there. An agreement had been made with the rightful owners, nearly a year ago, to use the property and the house for free, maintaining it and paying utilities, until such time as we could come up with one-half of the asking price, which would be about $4000usd. After that point, we could make payment arrangements for the other $4000. 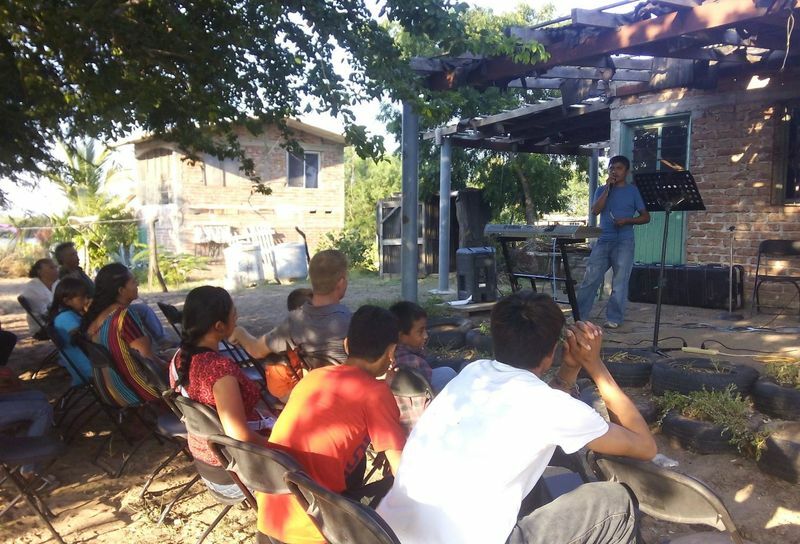 During the past 10 months, the Church in Las Glorias has raised about $600 toward that amount. We believe that God desires that this house and property be used for His glory and that He has a plan in this situation, but in order to maintain peace within Julio’s family, the Church has decided to simply move the weekly meetings back to Julio and Lupita’s house (which is right next door) and to not use the other property until we can purchase it. Please pray with us that God would provide the funds necessary and also that peace would reign in this situation. 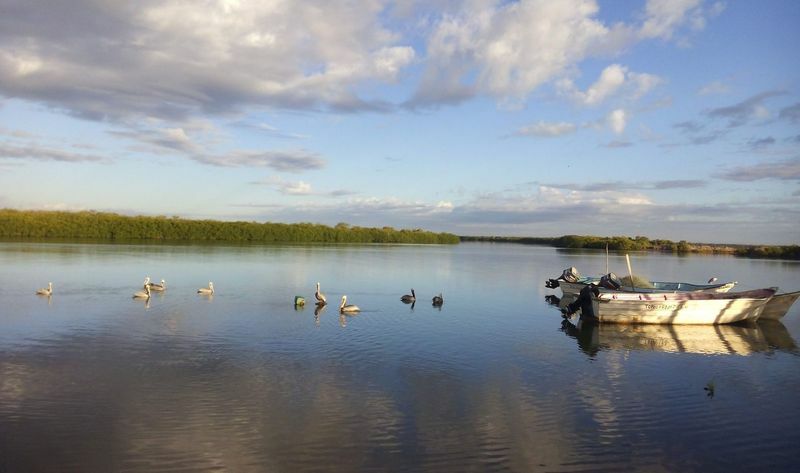 The months of July, August and September are very difficult months in the fishing villages of Sinaloa and Nayarit, and the men can become easily discouraged, frustrated and in some cases desperate for ways to provide for their families. Tempers can sometimes flash and reason goes out the window. 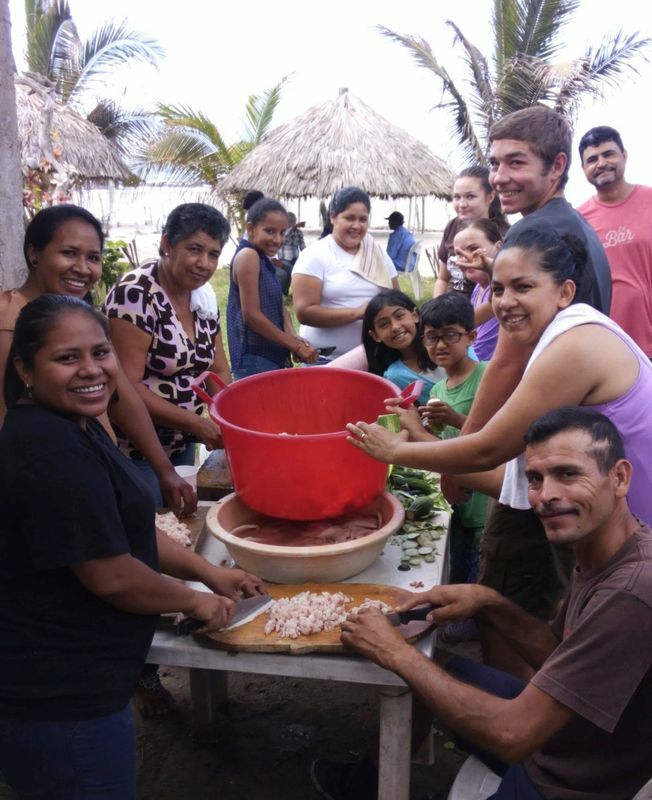 Pray for provision for the families of La Pitahaya, pray for a fruitful fishing season, which starts soon, and pray for peace in the lives and hearts of everyone involved – a peace which surpasses all human understanding! We are seeing lives changed one by one in this small community and know that God will continue to do a mighty work there! 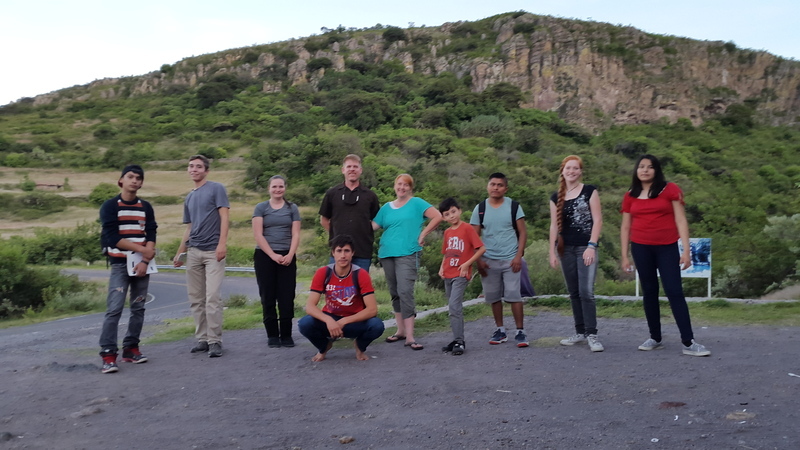 We said goodbye to our mission teams from Oregon and Sinaloa two weeks ago, and our original plan was to move into the house that we had found to be our “home base” for the next year at that time. At the last moment, however, the owner of the house backed out of the deal. We’re still not sure exactly what happened. After almost a year of praying for this town in general and the house specifically, we were a bit stumped. The temptation to be discouraged and frustrated by the suddenly-thwarted plans was definitely there, but even though we were left scratching our heads, we knew God had everything under control. As we recommenced our search for a mission base, we had a sense of peace – maybe even a deeper peace than we had had before. Keeping in mind that Ricardo and Cristina had been driving to Tarimoro every week for almost a year looking for living quarters for our families with no success whatsoever, we started looking…and looking…and looking. After much prayer and days of walking through Tarimoro, knocking on doors, looking for a house to rent, we found nothing. As August drew to a close, we decided to dedicate two full days to house-hunting. Ricardo enlisted the help of a local man, Mario, who sacrificed a full-day’s work to help us. Mario had some good leads through friends of friends and acquaintances, but all day we heard the same thing from the people we talked to, “Oh, we just rented that house!” You’ve got to be kidding!!! What is up??? We stopped for coffee at a small community kitchen where the food smelled wonderful. Could we come back for lunch at 3, we asked? Of course! So we continued our searching, looking forward to a late lunch. When we returned at 3, however, the kitchen was closing. The owner apologized and told us that she had run out of food because the meat market closed early. Strange. As we stood on the curb, tired and hungry, trying to decide what to do about lunch now that all the restaurants were closed, without a car since Ricardo had gone to run an errand, it began to pour down rain. Every good story has its high points and low points. I would call this a definite low point. When Ricardo returned, quite some time later, Mario directed us to another small kitchen where the owner had exactly enough soup left to feed our crew. As we ate, we chuckled at our “thwarted plans” and talked with Mario about God’s purpose for our lives and the ways He has drawn us to Himself over the years. When I asked the owner, a young mother named Guadalupe, for the check, she just stood there for a moment. Then she exclaimed, “I’m sorry! I was so caught up in what you were talking about, I didn’t even think about the check!” A little while later, she was praying with Rebecca and Cristina, dedicating her life to Christ and acknowledging Him as her Savior. At that moment, we decided that the changed plans, endless walking, repeated rejection, missed meals and wet shoes were all worth it if they led to one life being transformed by God’s grace and peace! Well worth it!!! We took it as a sign that God was still in control and had a plan and a place for us. We continued our search with new energy, looking at houses and apartments all over the city and in some neighboring communities as well, with little to no success. At one point late in the evening, Rebecca and Cristina came running out of a house stomping their feet, slapping their legs, and laughing uncontrollably. Apparently some stray dogs had been making the abandoned house their home and had left their fleas behind. Arriving at our hotel that night, we were physically exhausted, and we crashed for the night, praying that the next day would bring some results. The next morning, we were sitting in the small dining area eating breakfast when the owner came in. I sensed God telling me to ask the owner if she knew of any houses to rent in the area, so logically I asked Ricardo to talk to her. Her response was the same as we had been hearing the day before: “I just rented one.” But then she paused and thought for a moment. “Well, there is this one house…” Twenty minutes later, she and her husband were showing us a five-bedroom house with enclosed parking – perfect for the Ramirez and Coult families to share! A few minutes later, we were shaking hands on an agreement to rent the house for a year. Praise God!!! Looking out our upstairs window toward the heart of Tarimoro and the mountains beyond. So, although it sometimes feels like we have to hack our way through a forest and slay a few giants, God’s promise is to always be by our side. He has a plan, and His plans will not be thwarted!!! Please continue to pray with us for God’s provision and direction – in La Pitahaya, Tarimoro and anywhere else He leads! Embracing the Journey -- Christ or Nothing!